My wife Abby almost always goes to bed before I do. After she crashes, I sometimes I write or work at editing images. Once in a while I’ll fire up a video game like Call of Duty 4: Modern Warfare. And sometimes I’ll put in a movie DVD. Abby and I share some of our tastes in movies. For example, we both think No Country for Old Men is one of the best pieces of motion picture fiction in the house, while you couldn’t pay me $100 to sit through one of her other favorites, Fried Green Tomatoes. Last night I put in A Man for All Seasons. By the time the credits rolled, I looked up to see it was 1:30 in the morning, but despite that, I restarted the film and watched until sleep would no longer ignore me. I have a lot of war movies, so good, some awful, and some worth remaking. It’s easy to see why this picture won so many Academy awards. It is utterly engrossing, brilliantly acted, and elegantly produced. As good as it is, it isn’t perfect. Its biggest flaw is the unimaginative, Hollywood boiler-plate lighting for the indoor scenes. They’re all lit like the set of the ten o’clock news. Also, the moral narrative tries to be intriguing, but we never once think More will turn to the dark side. If you tried to remake this movie (only done once, for television), you would probably fail. It’s that good. One of the main characters, King Henry the VIII, is portrayed by a talented actor named Robert Shaw, maybe best remembered for his role as shark hunter Quint in Jaws. Another movie in which Shaw appears is Battle of the Bulge. As hard as he and Robert Ryan and Henry Fonda and the rest of the all-star cast try, they can’t keep Battle of the Bulge from being poorly written, stiffly directed, and very disappointing, especially since it attempts to depict a seminal moment in World War II. 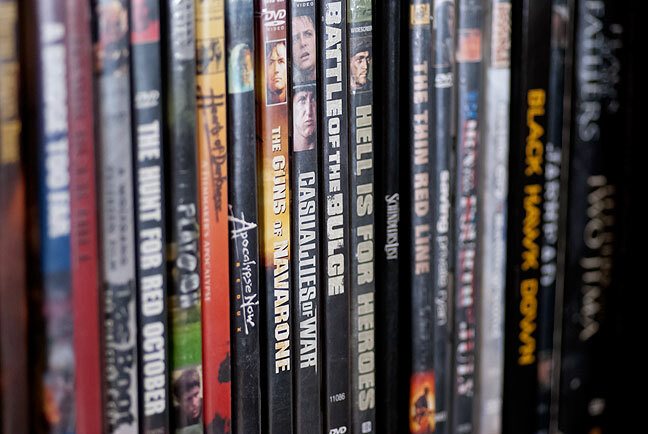 If you released a modern remake of Battle of the Bulge tomorrow, I would pay retail for the DVD/Blu-Ray pack, which is saying a lot, since I hate paying for new DVDs, as I know they’ll be $4.97 on Amazon in a year. Another Henry Fonda movie that falls into the “please remake this immediately” class is Midway. It fails for all the same reasons as Battle of the Bulge did, plus about 15 more. It is an almost unwatchable telling of a battle that represents a bellwether moment in the war in the Pacific. It deserves to be told right. Don’t ask me to cast these movies. Casting is an art that verges on magic, and requires a casting director who can smell human chemistry and talent. Let’s start with not Ben Affleck and go from there. I think I watched “Midway” with daddy and liked it. Is that the one where the Japanese traitor is being skinned alive for his crimes, and the America soldier, watching the scene unfold from a nearby ship, shots him in an act of kindness? No, Midway depicts the Battle of Midway. I’ll agree that several WW2 movies could be remade better than the originals without much effort. And, as much as I liked Ben Affleck in several movies, I also agree with your casting philosophy for WW2 movies. And please don’t work too hard for the PG-13 rating, which really seems to ruin war movies. Has there ever been a PG-13 war? No.